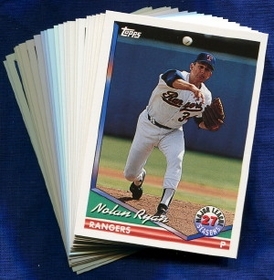 The 1994 Topps Texas Rangers MLB Team Set contains 24 Texas Rangers baseball cards including Star Players like Nolan Ryan, Ivan Rodriguez, Julio Franco, Kevin Brown, Rafael Palmeiro, Juan Gonzalez and Jose Canseco. 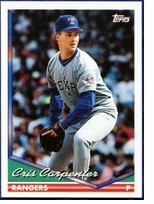 Collecting different years and brands of baseball cards from the same team can give you a different view of all your faviorte players. All cards in the set are listed below.